From the Denver Business Journal: Gov. 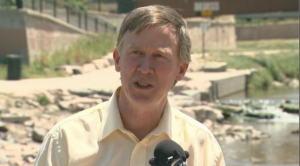 John Hickenlooper said it’s “unlikely” public opinion across Colorado would allow for the construction of a new major dam project, despite a continuing increase in the state’s population and an ongoing drought. 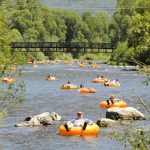 The governor made that prediction during a meeting of the Colorado Water Congress, Aspen Journalism reported. 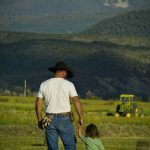 Hickenlooper also called for cooperation among often-warring factions in Colorado’s water world, be they Front Range water providers trying to deliver water to a growing urban population, Western Slope ranchers and farmers working to preserve their rural way of life and the future value of their private water rights, or river-lovers on both sides of the divide fighting to keep water in rivers for fishing, boating or nature’s sake. 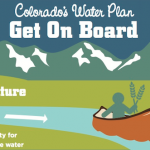 Colorado’s Water Plan: Get On Board!